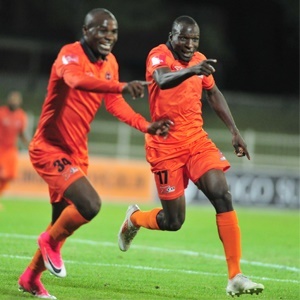 Cape Town - Polokwane City have finally agreed terms with striker Rodney Ramagalela to pay his signing-on fee. Ramagalela, who is set to join Highlands Park in July after signing a pre-contract with the Lions of the North, has been left out in the cold after being sidelined by City following his decision to not renew his contract with the club where he has been suspended and forced to train alone since January this year. SAFPU deputy secretary general Taelo Motloung has confirmed that Ramagalela and Polokwane City have agreed terms regarding his outstanding signing-on fees. "I still have to find out if the issue of outstanding salaries is still to be pursued. It's been a frustrating period for the player," Motloung told Kickoff.